Proof	A Multi-Planar Study Of Involuntary Response To The Lateral Impact Of Domestic Objects: Is It Funny? 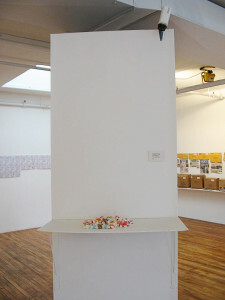 With inspiration from Felix Gonzalez-Torres, and a high speed internet connection, Harvey placed a pile of candy on a shelf, which was being monitored on the Harvey Loves Harvey website by a webcam, which would update at predetermined intervals. 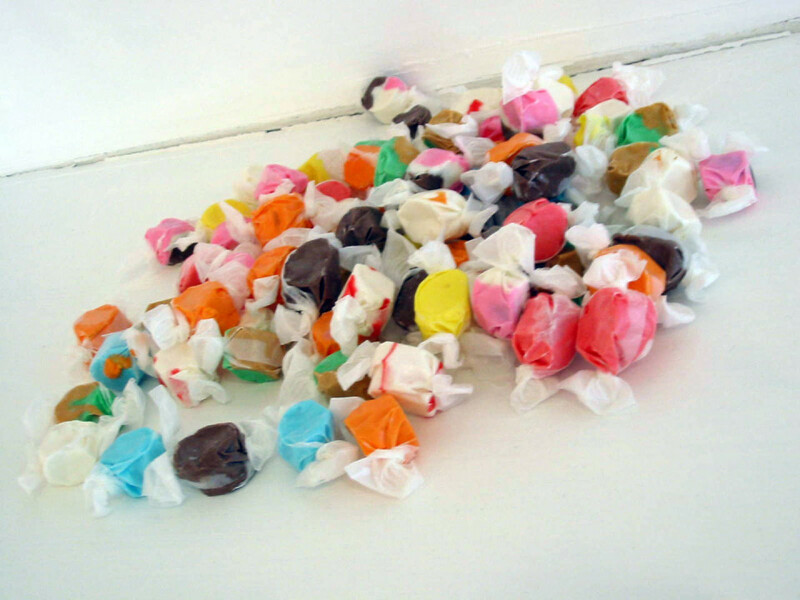 The candy was meant to be taken and online viewers would attempt to catch the thief in the act.